The Look Lock is a camera-mountable universal smartphone holder with an articulating arm for mounting small devices above your lens or camera body. The Look Lock’s spring-loaded SmartClip can hold any device up to 3”(76mm) wide. Non-skid pads on each interior side of the clip protect your smartphone or device while holding it firmly in place. 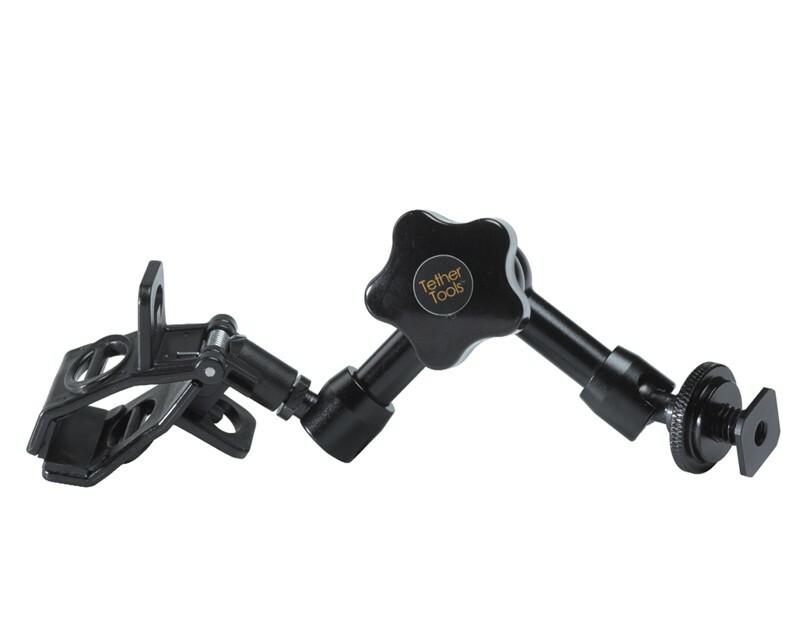 The SmartClip is anchored to the camera by a Rock Solid 7“ articulating arm and a specially engineered cold shoe mount to prevent inadvertent side to side movement as the camera is repositioned and rotated. Simple to install, the Look Lock quickly positions directly into any hot shoe or on an extension rail when multiple devices need to be secured.